Frida Kahlo with Olmec figurine, 1939. © Nickolas Muray Photo Archives. 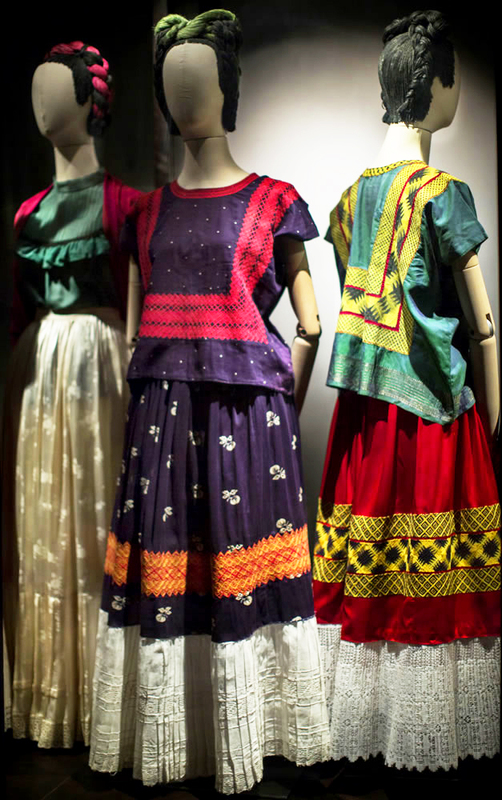 On 16th June 2018 the Victoria and Albert Museum will present a new exhibition, Frida Kahlo: Making Her Self Up, with a focus on the artifacts, textiles, clothing and personal items of Frida Khalo. 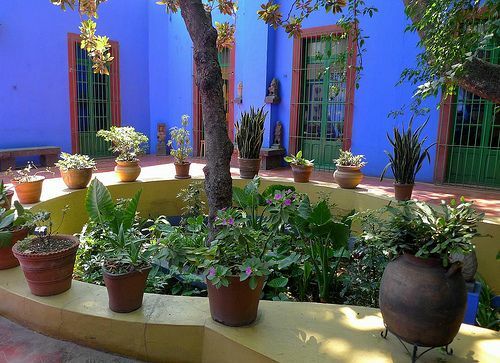 More than 200 items will be on display which have previously been sealed up for over 50 years in the Casa Azul, the home she shared with her husband Diego Rivera in Mexico City. Frida Kahlo drew inspiration both for her lifestyle and her art from her vibrant Mexican culture. 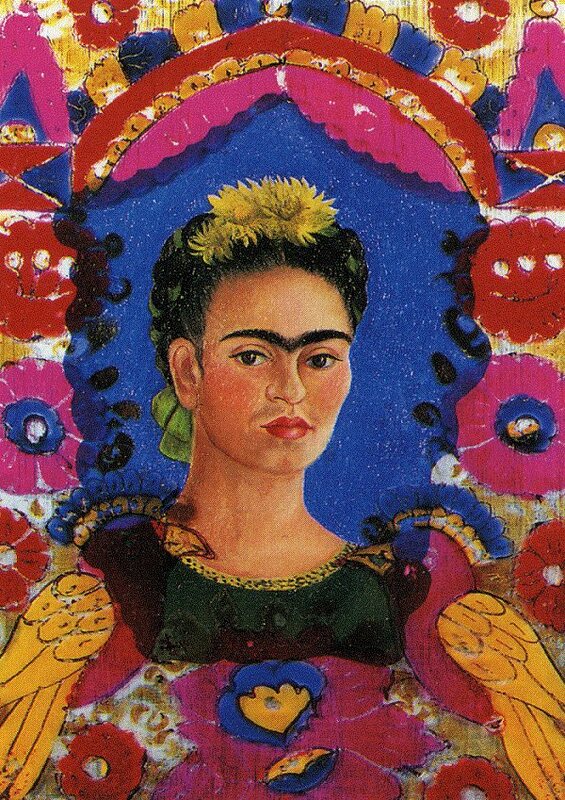 This self portrait called The Frame is a good example, as Frida has included mixed medium in bright colours to combine Mexican Folkloric traditional techniques. This love of tradition even spilled over into her garden. 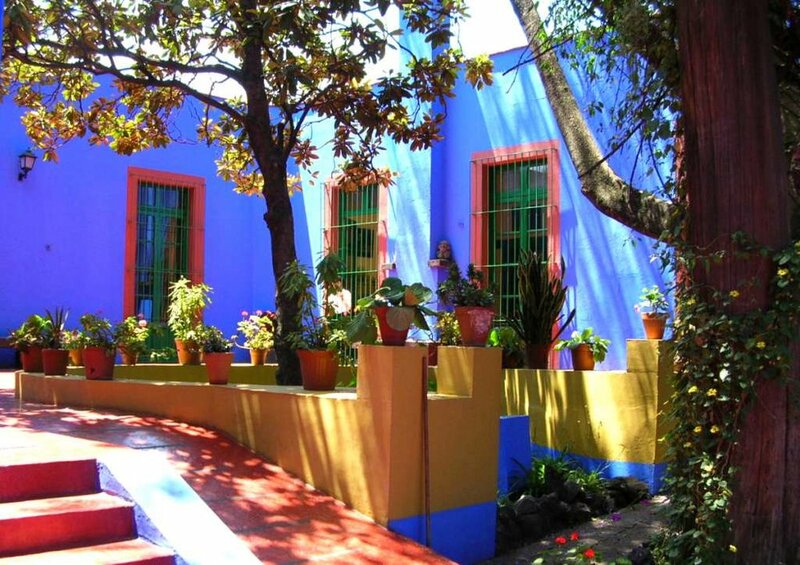 Frida loved her garden at the Casa Azul, and with Diego Rivera, transformed the courtyard garden into an oasis of flowers which included oleanders, marigolds, geraniums, lilies, cacti and foliage. Tending her garden was integral to her life. She would incorporate this passion into many of her paintings by the inclusion of fruit, flowers and foliage alongside other Mexican folkloric symbols. With the summer ahead this is the perfect time to prepare our own outdoor space, however small. 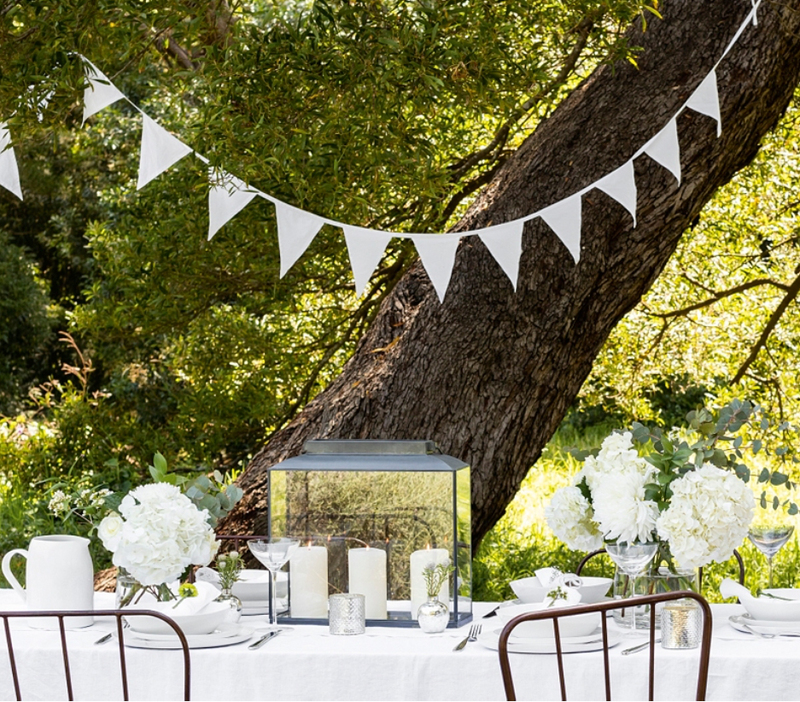 If you don’t have a courtyard, garden or balcony, it’s still possible to create a table setting to reflect a summer theme. We looked to Frida for our inspiration. Milagros is a Mexican shop in the heart of London's famous Columbia Road flower market. 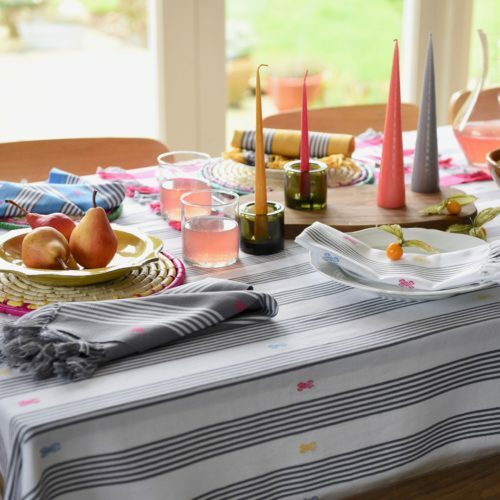 Working directly with individual artists, makers and workshops in Mexico, Milagros imports hand-made Mexican products... perfect for a summer garden or table setting. 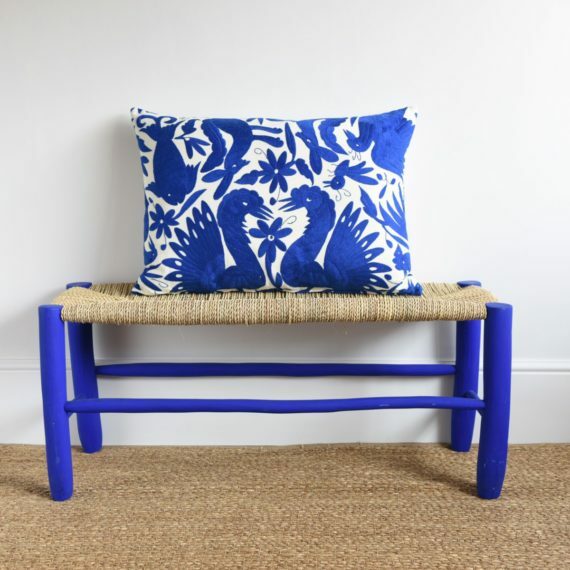 Montes & Clark, based in Tisbury, Salisbury, is a partnership of two friends both who share a passion for textiles and embroidery. 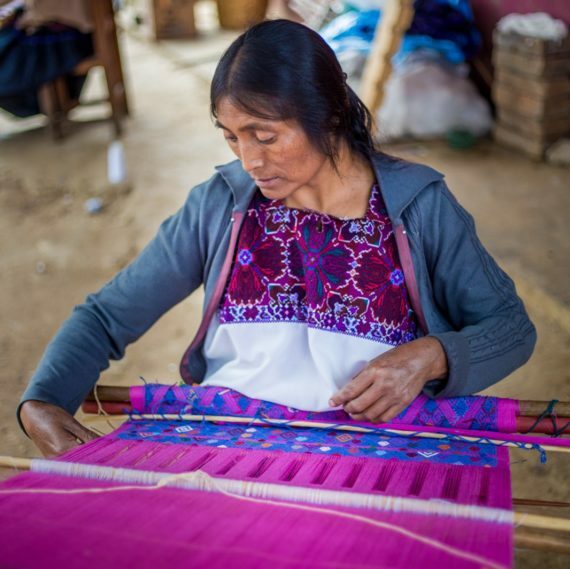 They work directly with women-led cooperatives in Mexico using traditional crafts to produce inspiring and beautiful contemporary pieces for the home. 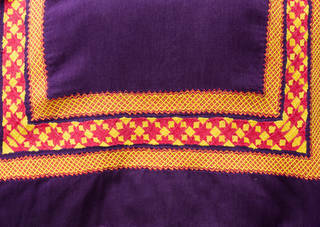 Frida felt that colour had the ability to express emotional truths. While her palette often contained bright pinks, purples, yellows, golds, and bright flowers popular in the decorative arts of Mexico, as well as this vibrant colour palette she would often switch to pastels and whites to express differing emotions and responses. 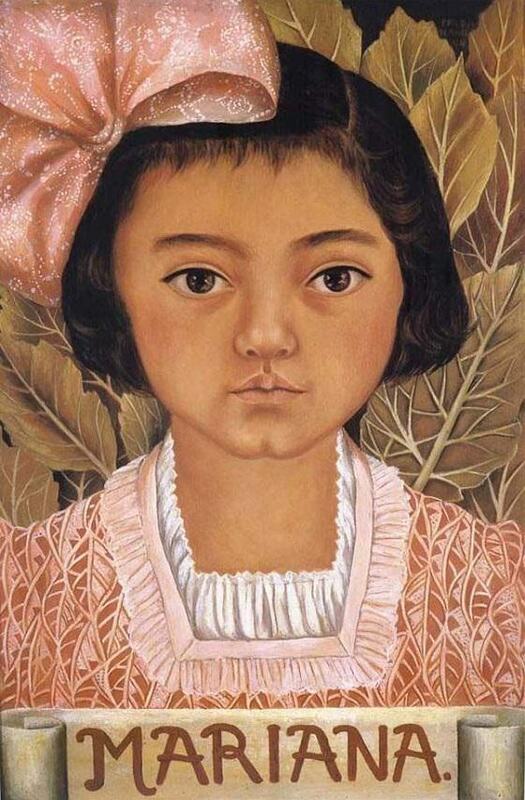 In this self-portrait Frida used warm hues and white flowers as an ironic sign of her sense of separation from Diego. The soft pastel hues and warm colours in this painting of her friends' young daughter Mariana, give the work tenderness and the inclusion of leaves was a symbol of protection in ancient Mexican tradition. These warm and pastel hues from Anthropologie and Zara Home create a perfect summer table setting evoking the colours in Frida’s portraits. Frida was just as much in love with her white Calla lillies, magnolias and cactuses as she was with bright colours. She painted this portrait (below left) of her younger sister Cristina in the Renaissance style, which is reflected in the colour palette and compositon. The all-white magnolia flowers (below centre) are inspired by the work of Georgia O’Keefe, by adding the short-lived cactus flower in the centre Frida has alluded to the sensitivity of life. The Calla lilly was a favourite of Diego Rivera. 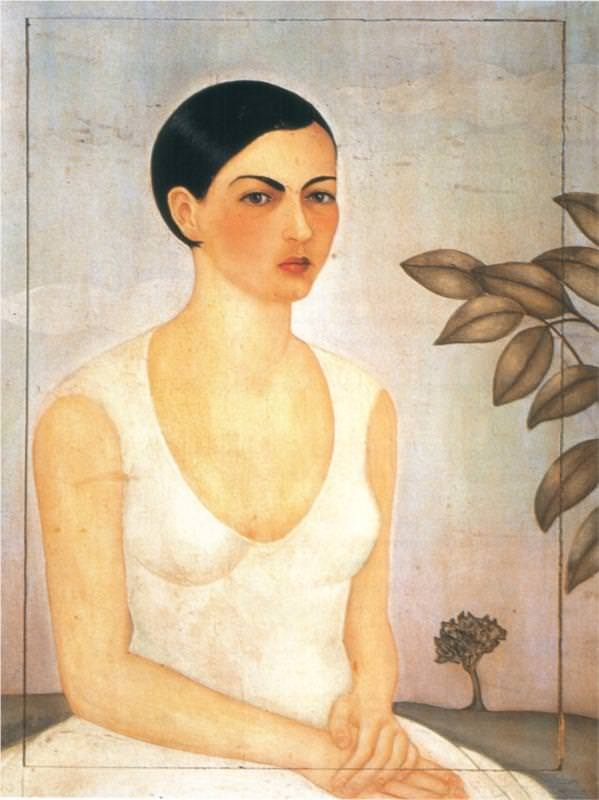 Frida has depicted herself in a traditional white Mexican blouse (below right) favoured by Diego. She would go on to adopt the traditional Mexican style of dressing for the remainder of her life, with the addition of bright textiles and flower head dresses. 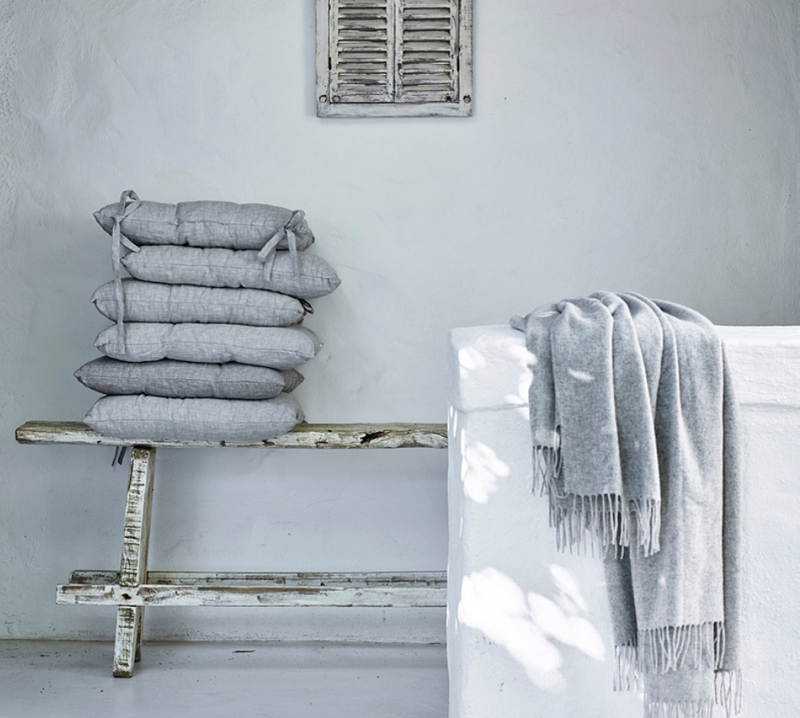 If an all-white palette is more your style, you can still get the full Frida effect with these gorgeous accessories from The White Company. At Devas Designs we love the simplicity of all-white. Why not include all-white flowers, simple greenery or add brilliant pops of colour with bright floral arrangements. Take inspiration from Rebel Rebel florist from Hackney. Frida Kahlo in blue satin blouse, 1939. © Nickolas Muray Photo Archives.